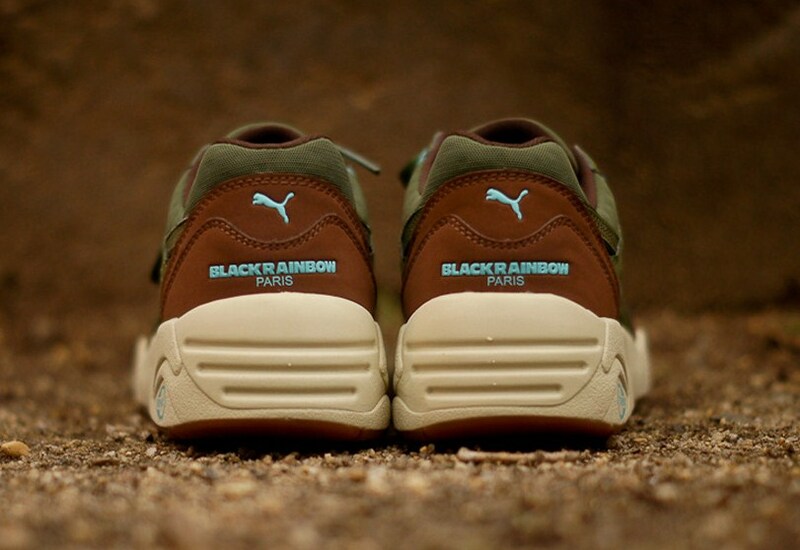 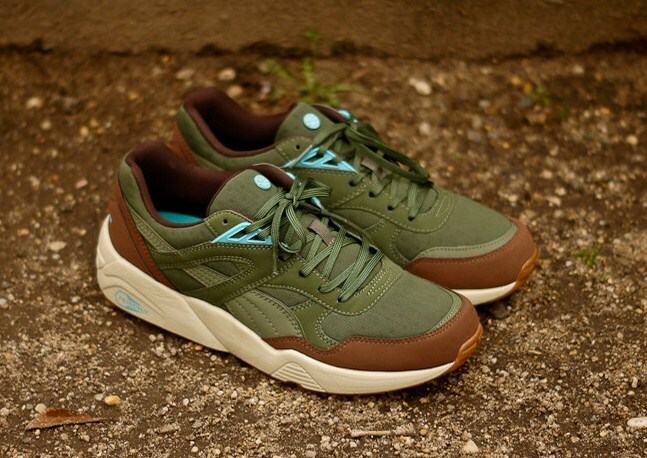 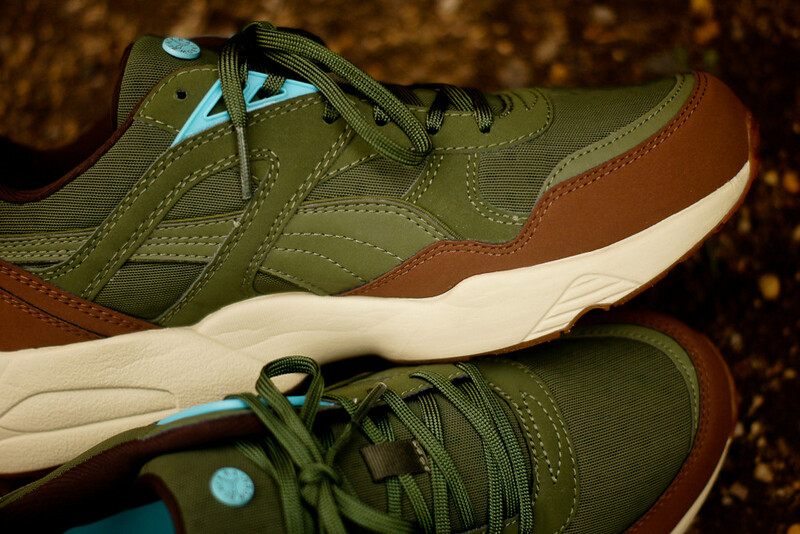 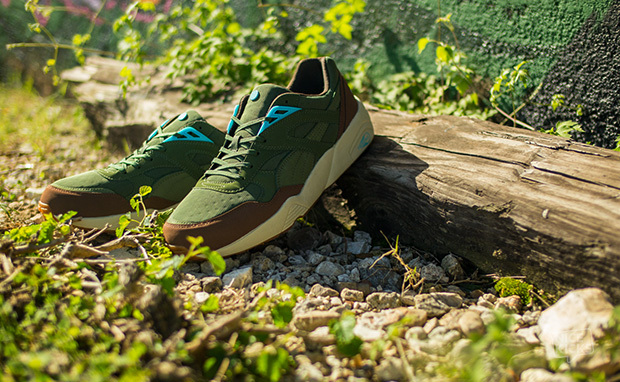 BlackRainbow Paris team up with PUMA on this ‘stealth’ edition of the R698 OG and Future R698 Lite. 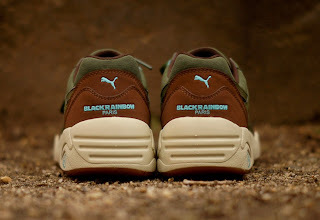 The BlackRainbow x PUMA R698 collection celebrates the OG R698, a ’90s runner that featured PUMA’s Trinomic technology. 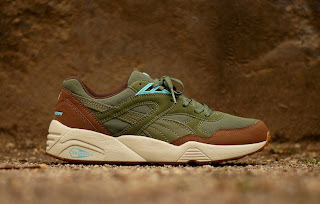 Sitting alongside this model is the updated version the Future R698 Lite. 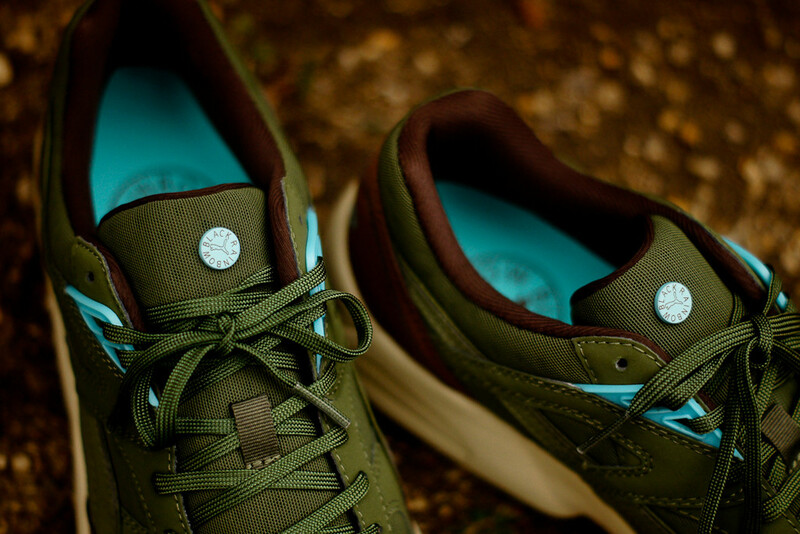 Inspired by all things ‘war’ with its’ earth-like qualities and camo styled colourway the R698 OG features a mixed nubuck and mesh upper in Cypress Green and Heritage Tan colours. 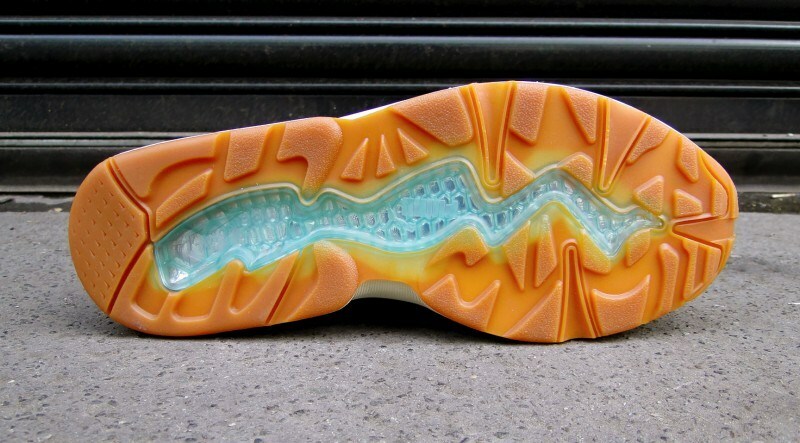 A gum outsole is layered on to the off white outsole with the PUMA Trinomic gel cushioning unit in translucent blue. 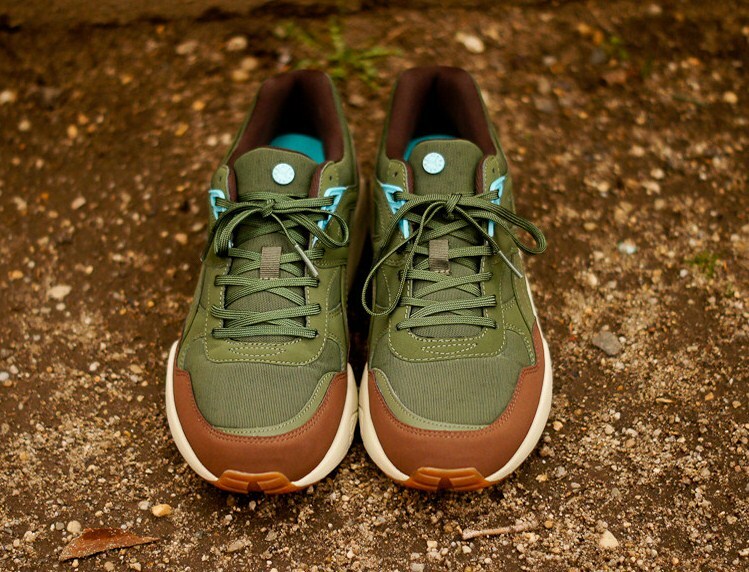 Dual branded logos can be seen on the heel with the addition of the BlackRainbow button logo on the tongue. 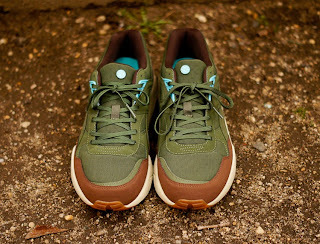 BlackRainbow branding also features on the blue insole.